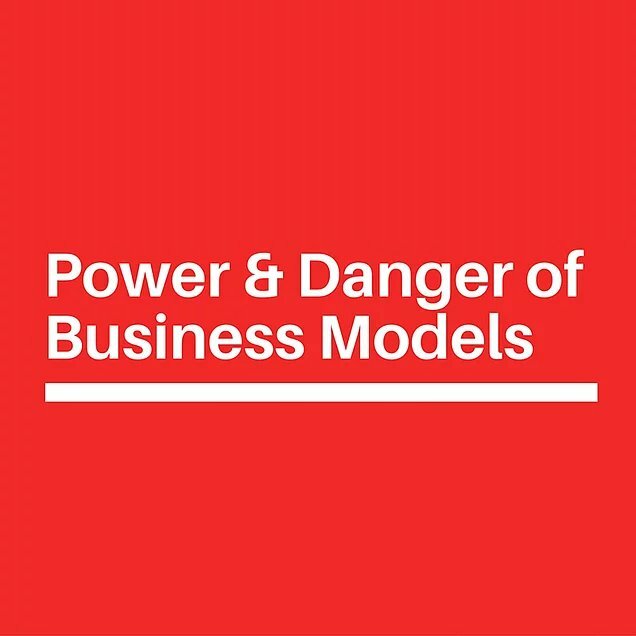 I have recently become fascinated by the power, and the risk of business models. Presenters and “owners” of said models seem to give their favourite model a status that is almost mystical! “ This powerful model will solve all your problems. Follow it religiously and you will succeed”. Models are just that. They are a process that, in controlled circumstances will produce a predictable result. And the idea of predictable results in this uncertain world can be very enticing. But the world is rarely controlled. And slavishly following a model when the environment is different from that in the model can lead to disaster, or at the very least, less than optimal results. The problem with the purveyors of models is that they have often paid a license fee to use it and they want to get their money back. Or it is the only model they are familiar with, or some prestigious organisation has labelled it “best practice”, thereby making it the only model used. In truth there are a number of best practice models available in the business world. Because I am working in the field of Governance I will talk about the governance models readily available to us, and my new one, the Director’s Chair™. In Governance there are two main models sponsored in New Zealand, and probably some lesser known ones used by individuals. The Four Pillars is promoted by the Institute of Directors as the absolute best practice model. Carver is promoted by some for the not for profit sector. There is no doubt that the Four Pillars is an excellent model for major organisations. It is a coherent package with a lot of valuable methods and processes. Carver is really designed for large Not for Profit organisations of a size that is very unusual in New Zealand. Most governance trainers in New Zealand teach only the Four Pillars. It is the only method considered worthy of support. But it is really designed for large businesses, not the 96% of small and medium sized businesses and most of our NFP sector. Because I was so concerned that components of the model used was unsuitable in parts for the 96% I have designed the model The Directors Chair™ for the majority of NZ businesses and trusts that is much more relevant to them, user friendly and straight forward. The key area of difference is the relationship between the Board and Management. Conventional models state that the only relationship between the Board and Management should be through the Chair to the Chief Executive. This makes sense in a big organisation and absolutely none when the the Chair is likely to be the manager, shareholder and deliver the services as well. And even in slightly bigger organisations it is still silly! The SME and Not for Profit sector usually work as a collaborative team. Given the right systems and processes this multi tasking is a strength, not a weakness as is usually touted. Stellaris has tested the Directors Chair™ with many boards and trusts in the last couple of years and we are delighted with the results. It is lovely to hear clients say “it worked”! Is it time to review your board processes?